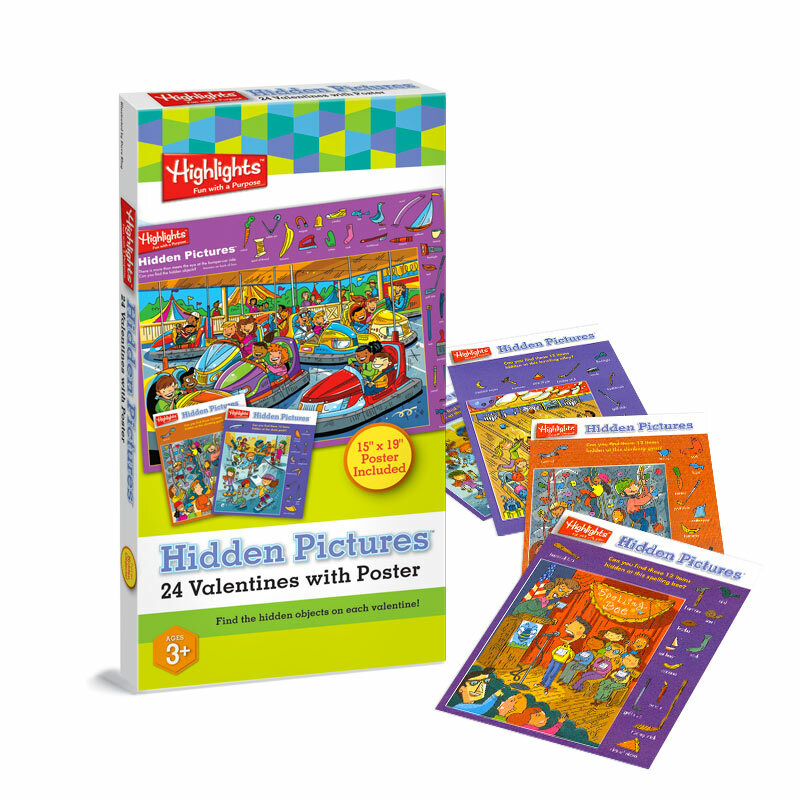 Share the fun of finding the hidden objects with 24 delightful postcard-style Valentines in 4 colorful Hidden Pictures® designs. Each card is 4.25" x 5". This exclusive collection also includes a 15" x 19" Hidden Pictures poster for more seek-and-find fun. Poster answers are included.